The work "Tiundagatan" was conceived for the exhibition "Clean & Sane", curated by Maria Lind and held at Edsvik Konst & Kultur, in Sollentuna, Sweden, autumn 1997. 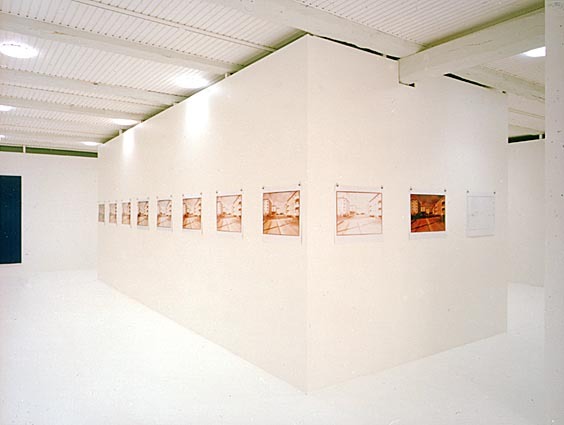 In January 1998, the exhibition traveled to Galleri F 15 in Moss, Norway. The 22 photographic prints from the same negative that constitutes the work, encircles the white cube clockwise, beginning with the red image. In the background, part of a painting by Julie Roberts.